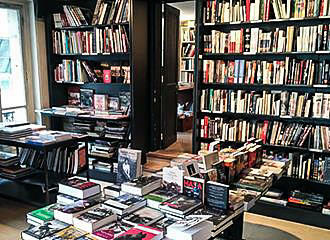 The Polish Library was founded back in the 1830s and still running today, it is also home to three different museums and houses archives from the 19th century emigration through to letters, works of art, literature and much more, which provides a unique collection for historians and researchers. Paris became home to many Polish emigrants at the start of the 1830s, and in 1832 a society was set up in order to preserve documentation and literature relating to Polish history and civilisation. By 1838, the Society for history and literature then turned its focus to setting up a library with the help of famous Poles including Adam Mickiewicz and Prince Adam Czartoryski, who was a statesman in Paris. Called the Societe Historique et Litteraire Polonaise - Bibliotheque Polonaise de Paris, it was set up on the Ile Saint Louis island and was the first public library in Paris that was not French. And it has remained on this island in the River Seine until this day, although it moved buildings to its current location in 1858. And because of its rich collection of documents, letters, maps, literary works, manuscripts, etc, it has become a very important centre for Polish history and culture, with numerous sculptures and paintings also held by the library. 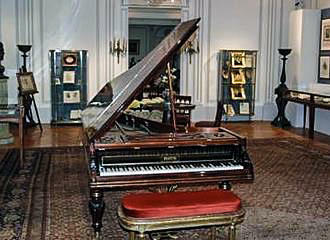 Yet there are also three different small museums in Paris which are located within the Bibliotheque Polonaise, including that of the great pianist Frederick Chopin, not forgetting an impressive collection detailing the life of Adam Mickiewicz created by his son, and the Polish artist Boleslaw Biegasand. So this means that although the venue has become a popular tourist attraction, the Bibliotheque Polonaise is also very highly respected by historians and researchers who visit the Polish Library from all over the world. The Reading Room of the Polish Library is open on a Monday to Friday from 2.15pm through to 6pm, and the Hall of Researchers Room is open from 9.15am through to 1pm, then from 2pm until 6pm on a Monday to Friday. Now as we have previously mentioned, there are also three small museums in Paris located here called the Musee Adam Mickiewicz, the Salon Chopin and the Musee Boleslaw Biegas, which are open on a Monday to Friday from 2.15pm through to 6pm for an entrance fee. 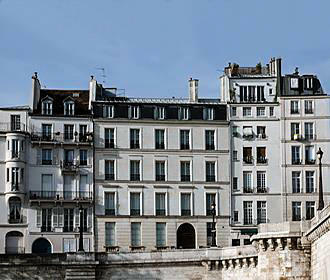 And located in the 4th Arrondissement in Paris on the Ile Saint Louis island, unfortunately there is not any true public transport options available on the island, and therefore the nearest Metro station is the Pont Marie stop via line 7 situated on the right bank. However, other Metro stops in the area are called the Saint-Paul, Cite on the Ile de la Cite island, Maubert-Mutualite and Jussieu, plus the bus number 67 will get you reasonably close to the Bibliotheque Polonaise, and there is a Batobus water bus stop on the left bank opposite Notre Dame Cathedral.